Do you ever wonder why you stumble on new things? Do you ever wonder why unsuspecting strangers cross your path? 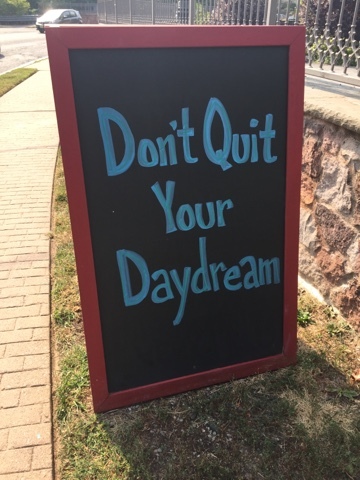 Do you ever wonder why your mind takes you to a direction you didn't think exist? It made me think of my meeting earlier that morning when a new friend took time to share her knowledge and experience of being a personal trainer. I inquired about the process, the learning curve and the focus I'll need to succeed. It's a big leap for me because it's something new. I haven't studied for any tests in 31 years. My 51 year old mind isn't used to it anymore. But it's a challenge I truly want to take on. When I got home, I got a note and a few messages in my Inbox. "Thank you. I surpassed my health goal. I lost pounds and inches I thought I couldn't, got lots of energy and I feel AMAZING And it only happened because of YOU! YOU are the secret weapon." Of course, I flexed and then got teary-eyed. My husband asked, "This week, it looks like you've moved your office to the stairs." 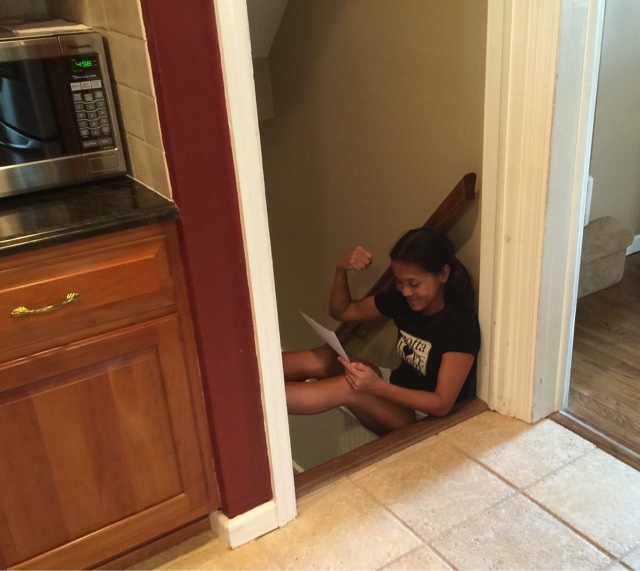 My daughter asked, "Why do you sit on the stairs lately?" It's probably because my subconscious is projecting what's been happening and what I've been telling those who trusted me with their health and wellness goals. BIG dreams happen one step at a time. Dreams don't manifest unless you take that step and commit. This is where I start singing Miley Sirus' "The Climb". We can achieve a lot - you and me - TOGETHER! First Day of School: Back to School Day!